Are you ready for CAT 4 4G? 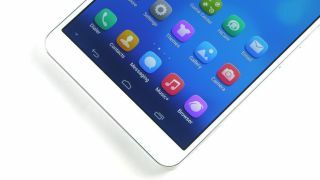 Huawei is back in the tablet game after an absence of over a year, and it's bringing CAT 4 4G connectivity to the masses with its two news slates. The 8-inch MediPad M1 sports a 1280 x 800 display, 1.6GHz quad-core processor, 768MB of RAM, 8/16GB of internal storage, 4800mAh battery and Android 4.2.2 Jelly Bean - and of course 4G connectivity. Those specs are hardly blockbuster, but the MediaPad M1 will set you back about £250 (around $415, AU$460) when it goes on sale in May. The more interesting of the two tablets is the MediaPad X1, which sports the same resolution, full HD display as the Nexus 7, 1.6GHz quad-core processor, 2GB of RAM, 16GB of internal storage, 13MP rear camera, 5MP front camera, 4G support and a huge 5000mAh battery. We currently do not know the price of the MediaPad X1, and Huawei could only tell us that it'll be available in the second half of 2014. The Huawei Ascend G6 meanwhile is a more affordable variant of the Ascend P6, sharing the same design ethos as its bigger brother. We've been told that the Ascend G6 will come in at under £200, and for that you'll get a 1.2GHz quad-core processor, 4.5-inch qHD display, 1GB of RAM, 8GB of internal storage, microSD slot and sizeable 2000mAh battery. Oh, and 4G too.